This bubble is very beautiful, they are very big, what kind of bubble liquid did he use? 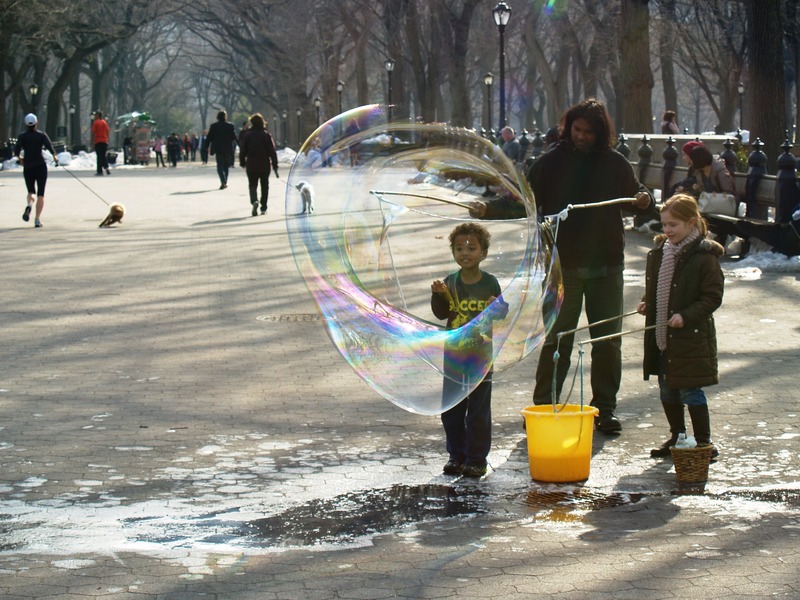 when I was young I really try to make a bubble that big, but I could never made it. Thanks for sharing this lovely picture.